Equipped with the Acoustic Clarity technology, the model ensures the sort of sound that is equally crisp and clear. 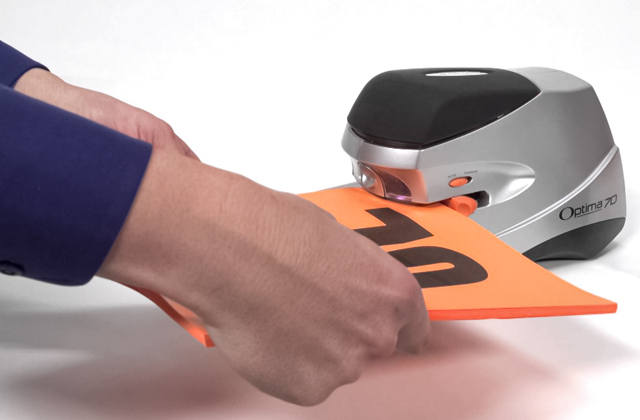 The large LCD screen makes it easier to set the whole thing up and to control the device. It displays the duration of the call, caller ID, and a few other useful pieces of information. The model doesn't support external microphones. 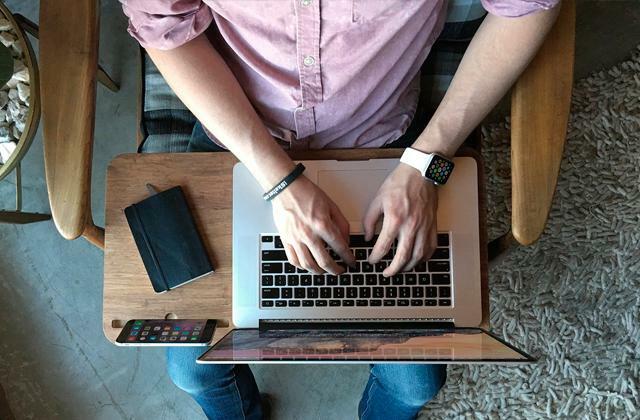 Don't put the analog technology out to pasture just yet. It still has the young bucks beat as far as sound quality is concerned. It is still a far more secure and reliable technology. 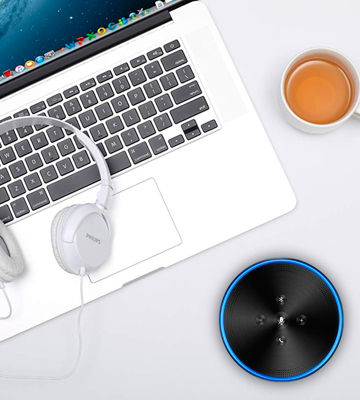 Plus, the mic can pick up to 10 voices in a 10-feet vicinity, making this device arguably the best speakerphone for office use. Smart LED indicators light up towards the person who is currently speaking. The built-in 5200 mAh rechargeable battery and USB port essentially turn the device into a power bank whenever you feel like charging your cell phone. The VoiceIA™ technology features voice suppression, echo cancellation, and vocal booster. Some find it a tad too quiet when used as a music player. What we have here is a device that looks good and works even better. Sure, you can use it for conference calls. But you can also use it for multimedia streaming purposes. The model is about as versatile of a device as speakerphones get, so you'll definitely be able to put it to good use. It takes a few seconds to set the speakerphone up and a single charge of the battery will give you up to 15 hours of talk time. The usual circular form features an array of useful controls around the edges. A convenient light indicator next to the mute button displays the battery status. 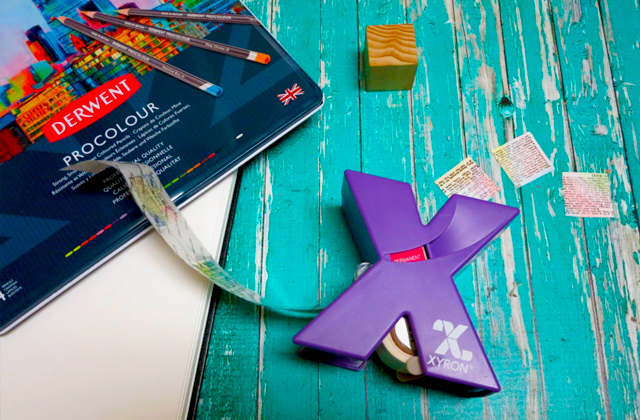 The glossy plastic edges are prone to scratches. 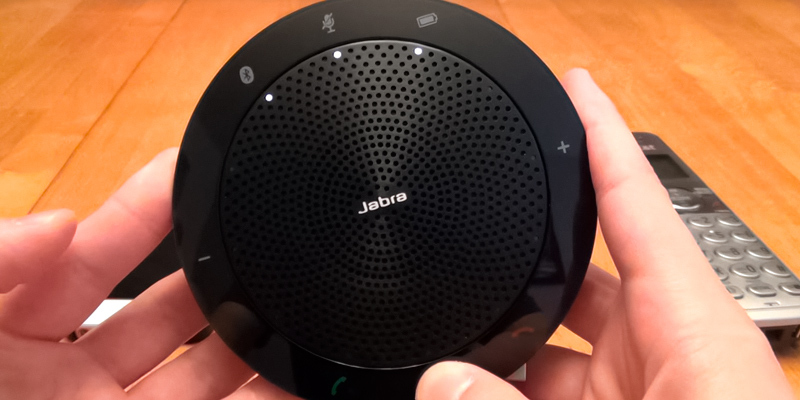 The Jabra 510 is easily one of the better speakerphone prospects in its price range. It's the sort of device that you bring with you to work and then take it home afterwards. It gives you a lot of options and it is up to you to use these options the way you see fit. 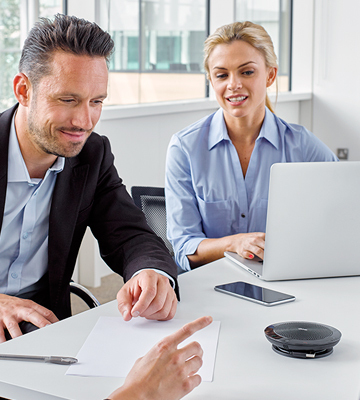 The speakerphone supports Plantronics Hub, the company's very own software for Windows and MacOS that allows you to take full control over the incoming and outgoing calls with just a few clicks of the mouse. A convenient mute button will let you easily mute and unmute the mic. Doesn't include a compartment for storing the USB Bluetooth adapter. 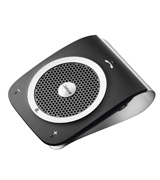 The Plantronics 86700-01 is a good speakerphone in every sense of the word. The Digital Signal Processing technology is particularly good at recognizing voices and reducing the background noise. 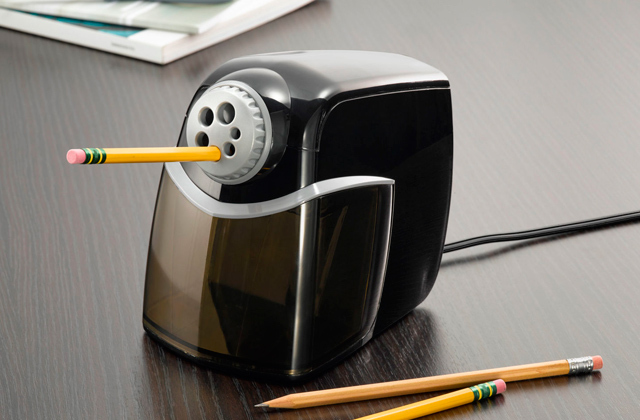 The sheer convenience of this device will make it a nice addition to your desk. The device supports a phone-independent voice control that can be utilized even if your phone is a couple of feet away from the speaker. 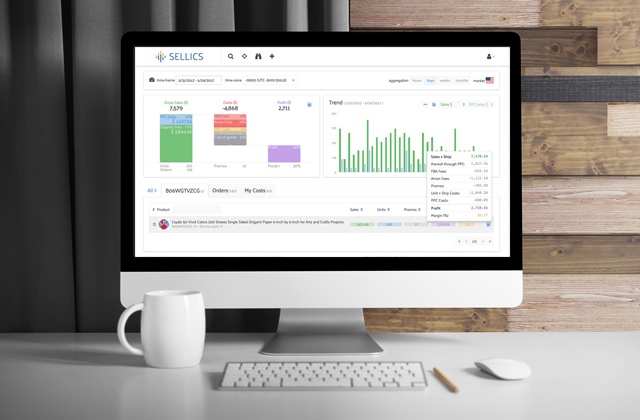 The feature is available in English, German, and French languages. The low battery sound notification gets annoying quite fast. Jabra Tour could be described as a revolutionary device compared to other similar Bluetooth gadgets. The high-sensitivity HD microphone will make your conversations clearer than ever, while the patented noise cancellation system will provide top-notch sound quality. 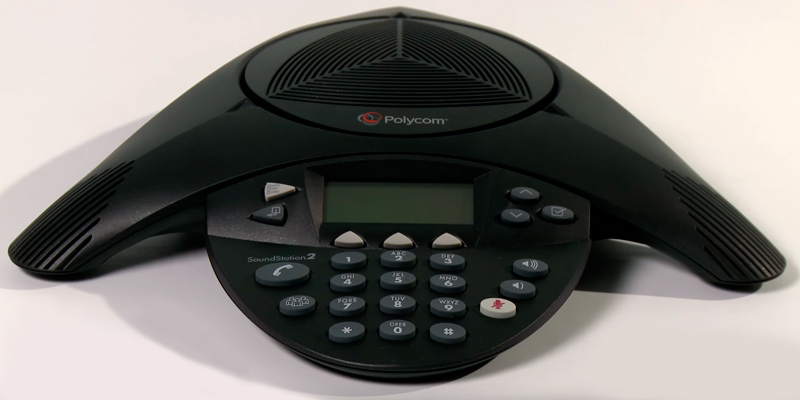 The Polycom SoundStation 2 is a speakerphone for those people who prefer the old-school approach. It won't allow you to take Skype calls as this analog device only works with the standard RJ-11 phone lines. But don't knock the seemingly legacy technology just yet. It still has a lot of advantages over its newer cellular counterpart. And so does this device over its more technologically impressive competition. 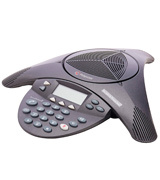 First, the sound quality here stands head and shoulders above VoIP and cellular technologies. Equipped with the company's very own Acoustic Clarity technology, the model ensures the sort of sound that is equally crisp and clear. The device puts the "loud" in the loudspeaker as the product incorporates a particularly powerful speaker, with 5 watts allowing the speaker to reach a 94-decibel level. But you aren't the only one who'll get to enjoy a quality sound since the Dynamic Noise Reduction technology excels at removing the usual office background noise coming from ventilation systems, projectors, and other elements of office equipment. It's an analog system, sure, but it does have a couple of tricks up its sleeve. The large LCD screen makes it easier to set the whole thing up and to control the device. It displays the duration of the call, caller ID, and a few other pieces of information. The phone book gives you 25 entries to add every important contact. In short, we wouldn't recommend putting the analog technology out to pasture just yet. It still has the young bucks beat as far as sound quality is concerned. 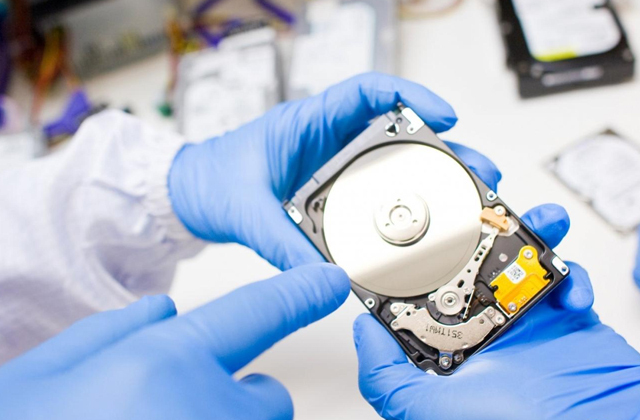 It is still a far more secure and reliable technology. 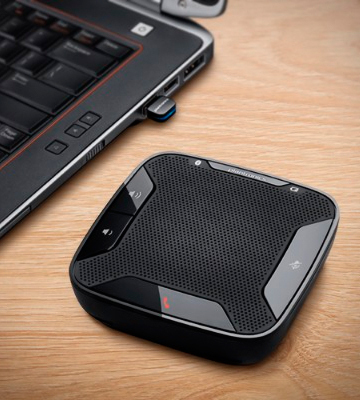 The speakerphone from eMeet M1BL is a gadget that is as sleek as it is functional. The blue circle around the edges definitely makes the model stand out in a positive fashion. But that circle isn't there just for show. It comes equipped with smart LED indicators that light up towards the person who is currently speaking. Another thing that we love about this device is the batter and the USB port. Both the built-in 5200 mAh rechargeable battery and the said port essentially turn the device into a power bank whenever you feel like charging your cell phone. 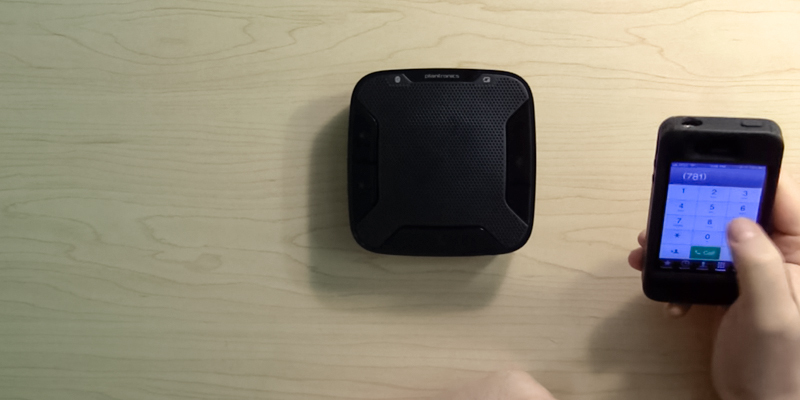 Aside from the visual appeal, the design of this speakerphone could be best described as lightweight and compact. 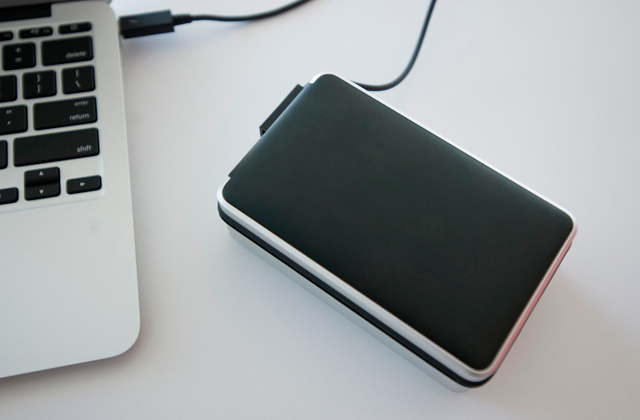 It doesn't require a whole lot of workspace, so you can use it at home or bring it with you to the office. The VoiceIA™ technology incorporates voice suppression, echo cancellation, and vocal booster to deliver the best sound quality and make sure that every voice will be heard. 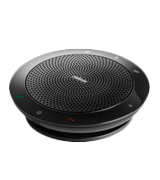 This isn't the most powerful speakerphone on the market but it will suffice for a small group of 3-5 individuals. All in all, what we have here is a device that looks good and works even better. Sure, you can use it for conference calls. But you can also use it for multimedia streaming purposes. This is about as versatile of a device as speakerphones get, so you'll definitely be able to put it to good use. The Jabra 510 has quite a lot going for it. 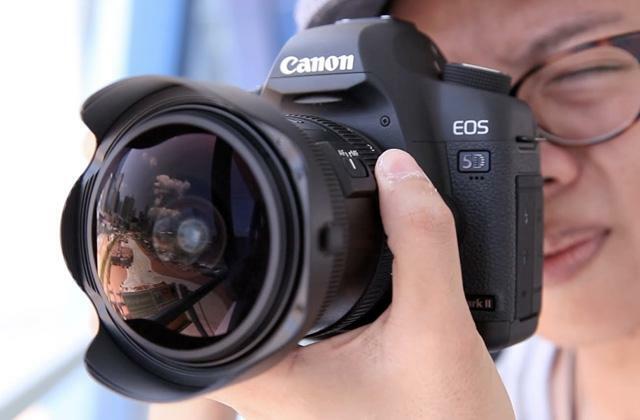 First, the device comes with a noticeable more modest price tag compared to the majority of similar models. But despite the price, the speakerphone doesn't necessarily trail behind in any major category, at least not as far as we can tell. We would say that one of the best things about it is just how universal the device is. It supports the USB cable connection and Bluetooth. You can use the former to connect the model to any PC or laptop. And you can always rely on the Bluetooth technology to connect it to cell phones and those computers that have some sort of a Bluetooth transmitter. It takes mere seconds to set the speakerphone up and a single charge of the battery will give you up to 15 hours of talk time. The relatively compact size and weight of this model make it really easy to transport. The storage case that comes with it will keep the device safe on the road and make the said transportation process a lot more convenient. The design is worth mentioning too. The usual circular form features an array of useful controls around the edges. You can easily increase or decrease the volume, take or stop the call, or mute the microphone. A convenient light indicator next to the mute button will display the battery status. To sum it up, the Jabra 510 could definitely be described as the best portable speakerphone in its price range. It's the sort of device that you bring with you to work and then take it home afterward. It gives you a lot of options and it is up to you to use these options. The Plantronics 86700-01 embodies pretty much everything we like about wireless technologies. 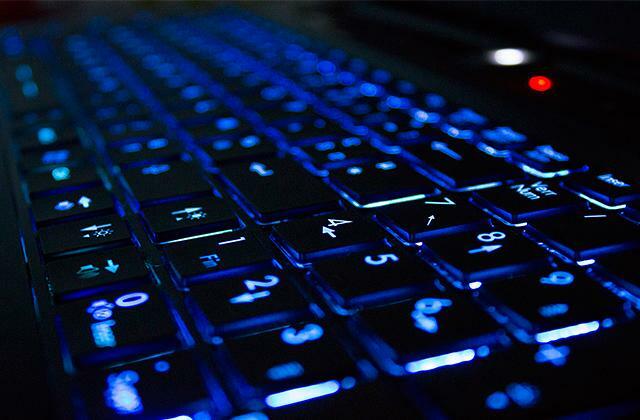 The model supports the Plantronics Hub, the company's very own software for Windows and MacOS that allows you to take full control over the incoming and outgoing calls with just a few clicks of the mouse. That said, you won't have to rely on this software to use the speakerphone as the device is particularly practical in and of itself. The design doesn't incorporate any unnecessary rubbish. The control panel features a button to take and stop the call, a button that will allow you to mute and unmute the microphone, and a couple of buttons to the left of the device that will let you increase or decrease the volume. You can connect this mobile to any smartphone, PC, or laptop via Bluetooth. 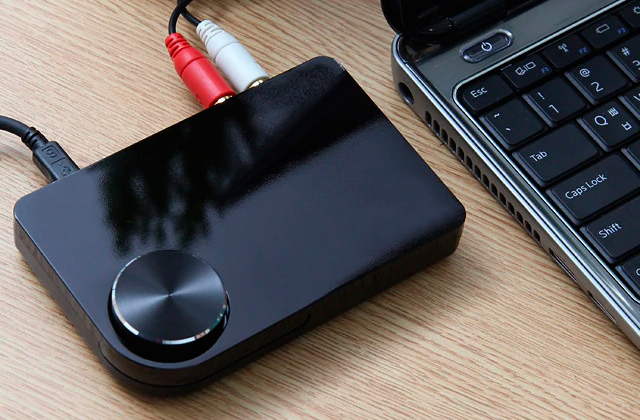 If your computer doesn't have a Bluetooth receiver, don't worry. 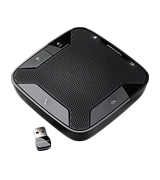 In addition to the speakerphone itself, you'll get a USB adapter akin to the one you get with wireless mice. The only thing we dislike about it is that the adapter is pretty small (the size of your usual USB Bluetooth adapter), so it is easy to lose it. It's not a huge problem but it would be nice if the device had some sort of a compartment where you could store the adapter. Other than that, we really don't have any issues with the Plantronics 86700-01. This is a good speakerphone in every sense of the word. The Digital Signal Processing technology is particularly good at recognizing voices and reducing the background noise. 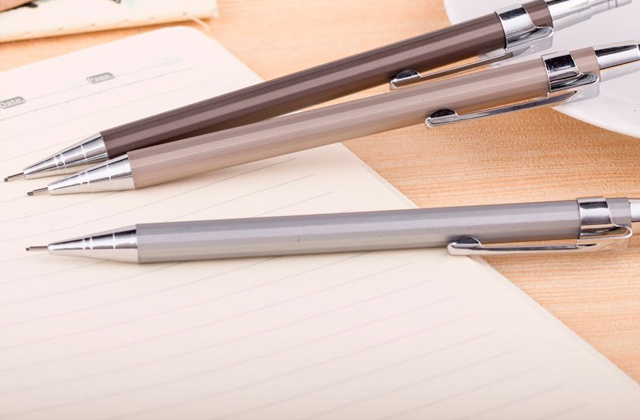 The sheer convenience of this device will make it a nice addition to your desk. The Jabra Tour is one of the few car speaker models that have noise cancellation comparable to top-of-the-line microphones, and this feature alone makes it a worthy pick for daily use in your car. To be more specific, the HD microphone can cancel traffic noise, echo, and actual sounds of the music or conversations inside the vehicle. So make sure to install it on the driver’s side of the vehicle. 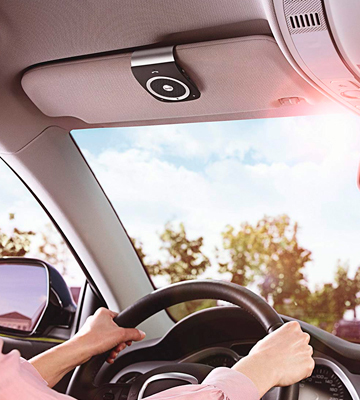 Speaking of mounting options, though the device is designed to be on top of the sun visor, it can properly work only on the side of the visor that is facing the interior of the car. 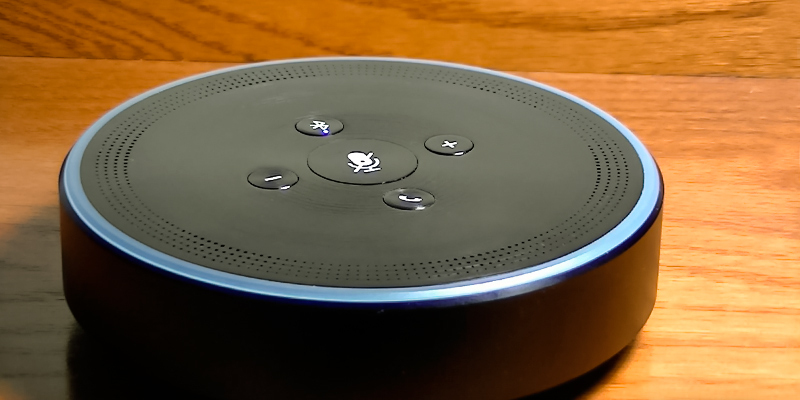 On top of the impressive microphone capabilities, the speaker can be guided by voice commands which include making calls, turning on the music playback, switching songs, and increasing or decreasing the speaker volume. Moreover, the voice activation feature allows you to set up the speaker in a way that will automatically turn off the device when you enter the car. That said, you will still have to turn it off manually each time you leave the vehicle. 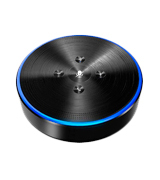 Other than that little drawback, the unit is capable of announcing the caller name (depending on the network), and, if paired with Siri or Android voice engines, it can act as a remote control for your smartphone. Since the battery life of these devices that are used inside the car is crucial for hassle-free driving, let’s take a closer look at what this model has to offer on that front. 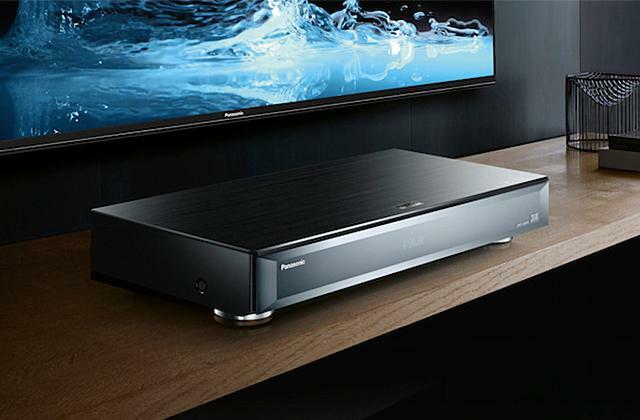 When in use, the speaker is capable of delivering up to 20 hours of talk time, which is quite impressive. The standby mode, on the other hand, allows you to leave the device unattended for almost 45 days, and that is absolutely remarkable for such a small device. To charge the device, you will have to use a USB cable or a special cable that can charge the gadget by using the lighter port of your car. And that is quite handy in those situations where you've limited access to power outlets. 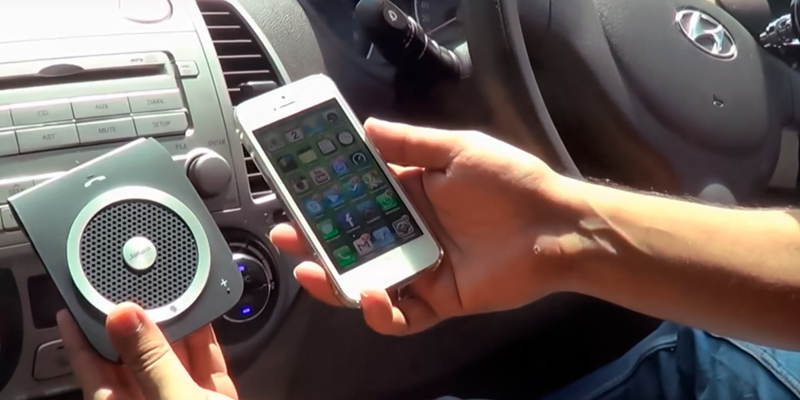 Battery life aside, let's talk about the design of the car speakerphone. The front panel of the device features a single speaker, barely noticeable microphone, and a couple of buttons that make it easier to control the speaker. From this panel, you can effortlessly change the volume of the speaker, as well as answer or end the calls. On top of that, the side panel buttons allow you to turn off the device or the microphone manually. All in all, this Jabra Tour is, perhaps, the best Bluetooth car speaker in its price range and, thanks to the simplicity of its design and ease of use, the device can be used by both professional and amateur drivers. This is a great car speakerphone. Pairing could not have been simpler. I did it without looking at the directions, and the Tour found my IPhone quickly. A little bigger than expected, but it has to be that size to fit the speaker and buttons that aren't too small to press. My favorite feature is the auto-off and motion sensitive auto-on. That means that I basically don't need to touch the TOUR, or even remember it's there, when I enter or exit the car. The term speakerphone is a bit more ambiguous than one might think. Sometimes, people use it to refer to those telephones that have a microphone separate from the loudspeaker. That said, the term is often used simply to describe a loudspeaker. You've probably heard a variation of it in the popular "put it on the speakerphone" phrase. In this review, we will be mostly focusing on those devices that transfer the sound from a telephone or a computer to the ambient loudspeaker and microphone. 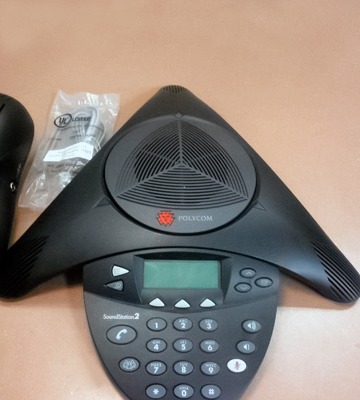 More often than not, you will find these devices in conference rooms and in a variety of different workplaces. They usually come equipped with some sort of noise cancellation or reduction technology and a 360-degree microphone that allows the device to pick up the sounds from every corner of the room. Other than that, you should take into account all of the extra features that the speakerphone may or may not include and check the compatibility of the given model to see if it would fit your purposes. And if you're only looking for the "speaker" part of the speakerphone, feel free to check our reviews of computer speakers, car speakers, or floor speakers.